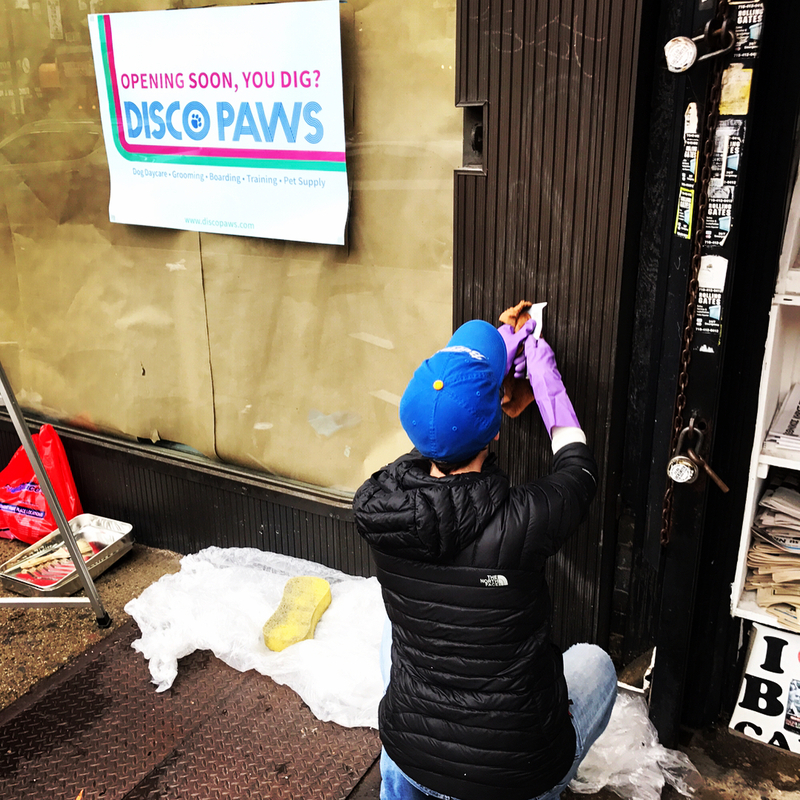 Earlier this week we mentioned the impending arrival of Disco Paws to the Ditmars area. 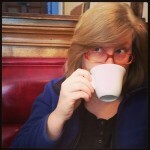 We have more information about it from owner Amanda Hogan, and are thrilled to bring that to you. And as you can tell from the name, their services are geared toward domestic animals with paws—dogs and cats (so no birds, fish, or reptiles). “It is not really geared toward other animals,” remarks Amanda, which makes sense. As for the services they’ll offer, you can expect to see grooming and overnight boarding for both dogs and cats; for dogs in particular, they’ll offer daycare and behavioral training classes; for humans, they will host DIY classes in making your own pet toys and such, as well as classes to help you better understand your furry friend. Additionally, look for holiday events (think Halloween costume contests, photo sessions with Santa), adoption events in partnership with local shelters, and pet socials for human and furbaby both. And finally, there will be a retail pet supply section. The aforementioned educational element also sounds like a great addition to the neighborhood. “Our educational classes will give people a real-life forum in which to ask questions about how to choose their first pet, or what to expect when that pet comes home,” she says. 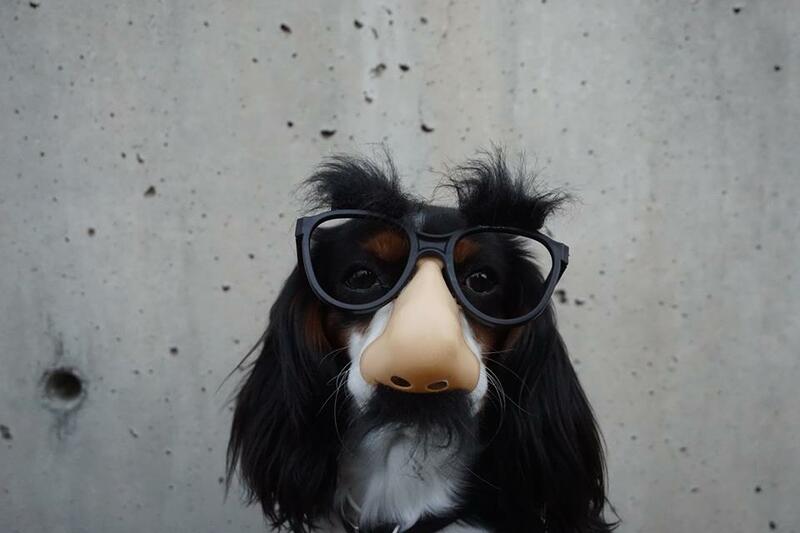 “I think the best way to avoid stress and take care of our pets is to share knowledge so we can prevent problems before they arise, and find effective solutions when we can’t.” Additionally, Disco Paws will also have HD Webcams for their customers to watch their dogs at play. They’ll also be able to access their accounts online to book appointments, see health records, get daily photos and report cards. Amanda assures us that the health of your pet is paramount in her mind. “While fun, whimsy and personality are a big part of the brand, Disco Paws puts safety and health above all else,” she explains. “Pets are supervised by certified, trained, and experienced staff. We take a holistic approach to pet nutrition and grooming, and only do positive-reinforcement behavioral training.” Good to know. Their goal is to open in mid-July and they are still on track for that, but there is no specific date set right now. When opening day arrives, however, they are planning to have a “Studio Fifty Four-Paws” Party complete with a red carpet with step & repeat. 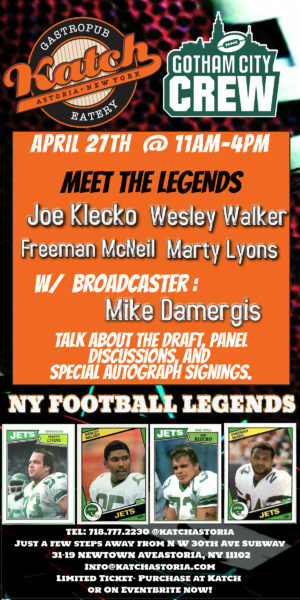 Bring your dogs (and, I imagine, your cat if they can handle it), don one of their 70s wigs (or arrive in your own costume) and get a free photo! 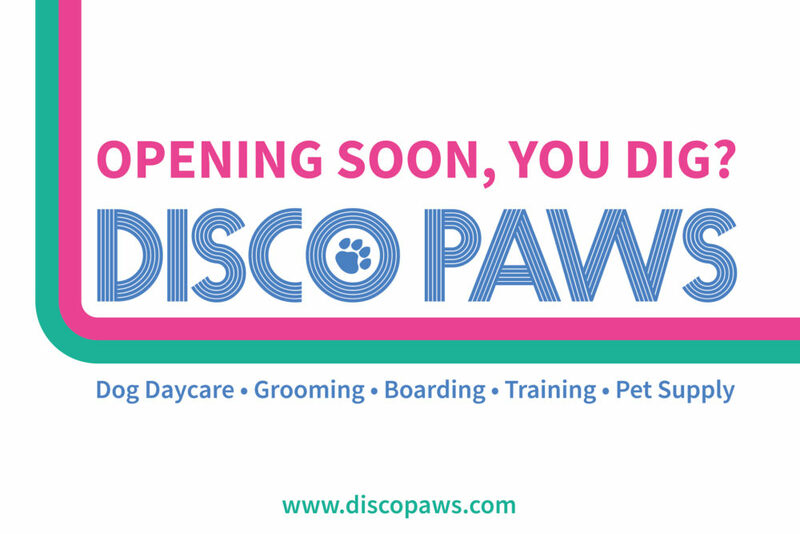 We are looking forward to checking out Disco Paws for ourselves and wish Amanda all the best of luck as she prepares to open. WELCOME and my dog Ursie looks forward to coming to school!